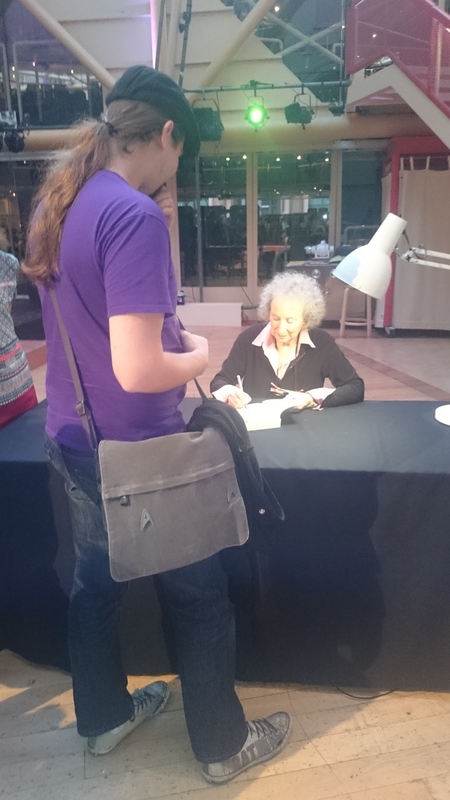 This is the third Margaret Atwood book I’ve read and it’s certainly left an impression. Compared to Oryx and Crake, it’s quite different. 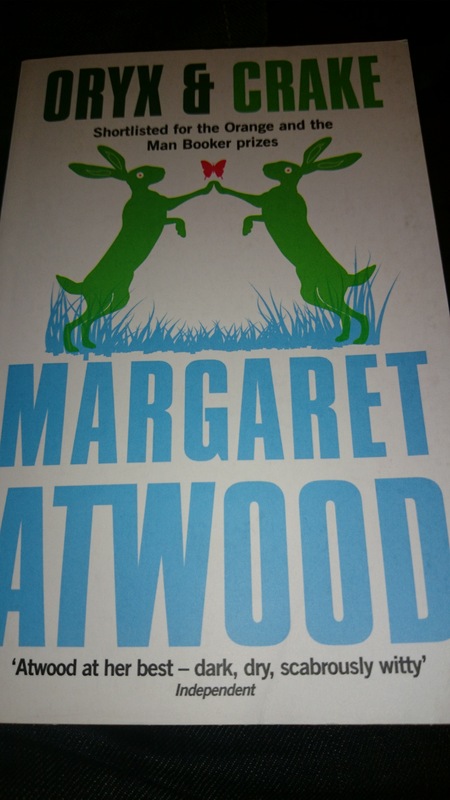 You can read my review on that novel here but I’ve also read Year of the Flood too. I’m always on the lookout for more of her books so feel free to recommend your favourites in the comments below! 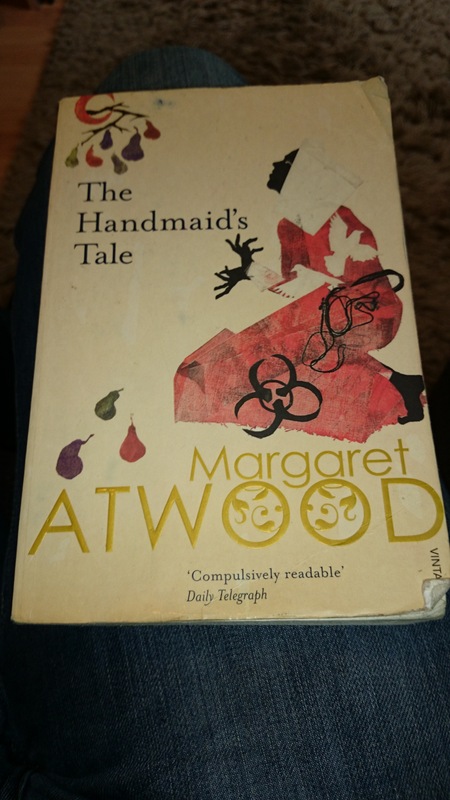 Unlike the others, I found The Handmaid’s Tale quite confusing at first. It threw me completely because there was a lack of discernible identity and even less in the way of recognisable speech or thoughts. Everything blurred together because the narrative is an account of our protagonist – you are getting everything through her eyes. This first person structure is quite useful for really connecting to her and its important because, as she’ll tell you herself, she’s losing her identity every day. Who she is, who she was and who she will be are running themes throughout the text. It takes quite a while for you to really understand what’s happening in this world. You get snippets from time to time but mostly as validations or reasons to excuse what is happening. They’re all half-hearted though and you can see that this is a person close to breaking, to losing all hope. You’re left wondering why. The world may not be great but there is stability and safety – of a sort (but that’s a whole different topic for another day). What struck me is that we never get a name for our protagonist, Offred. Now, you might be thinking “that’s the name” but it’s not so simple. That’s the name she has now, the name she has in her current placement. It would have been different before this placement and different again after. It also bears no reflection on what her name was before she was made to become a handmaiden. Instead, it’s a mark of ownership. It’s not said that her Commander’s name is Fred but given the other names we encounter, this is a fair assumption. That raises big issues itself, slavery and human rights as we know them seem to have changed and adopted new roles. Religion is key but what the religion is, we’re not ever told. Again, this is all her perspective and what she doesn’t know, we don’t get to know either. There’s much more I could go into but you’re better reading it for yourself. I found it quite hard to get into and the first 100 pages or so I really had to work hard to keep my interest up. It got better in the middle but the final third had me hooked and I read those pages in a couple of days. There are a lot of tangents to follow and there are times when you are told you can’t trust what’s been said – that makes you wonder about the entire text. Be ready to jump back and forward through time – you are at the whim of our protagonist and if you can’t follow her train of thought, then the story will go nowhere for you. As I mentioned before, the way the story is told has an effect on this as the clear formatting you are used to in other books isn’t always present here. Be prepared for that but also keep in mind that this is all subjective to one point of view. Countless times I’ve caught myself wondering about how Serena Joy, Nick or even the Commander feels as well as how they would talk to the reader in a similar situation. Offred discusses this herself but your thoughts are likely to be different to hers. Your goals are different but the rules are the same. Part of me would like this book again but written in one of those other voices. It would be interesting. It’s not my favourite book, not by a long short. 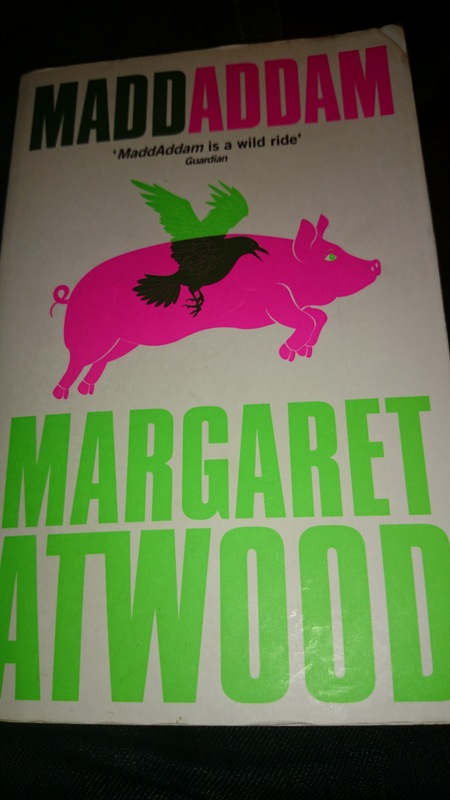 It’s also not my favourite Margaret Atwood book but it’s still a great read and one I’d recommend for anyone interested in dystopias, slavery, religion, censorship and much more. On top of that, it’s a well written story that breaks some rules – it’s something different and I think that was one of the reasons I really stuck with it.